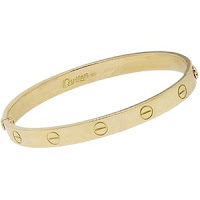 Recently the fashion trend that I have been completely obsessed with is bangles. I think they look so cute and classy and they go with everything! 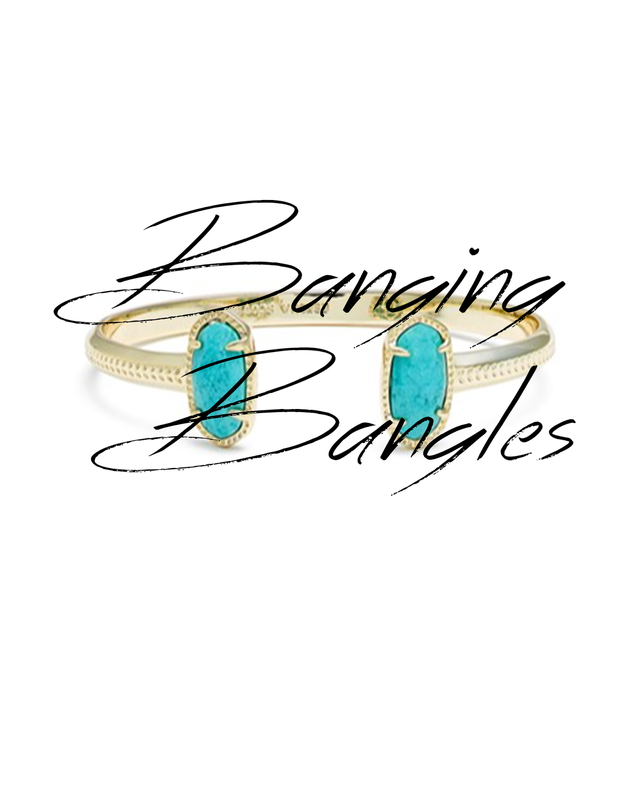 Dressing casual or fancy throw on some bangles. Plus if you get ones that match (same type of metal) it just brings your outfit all together. 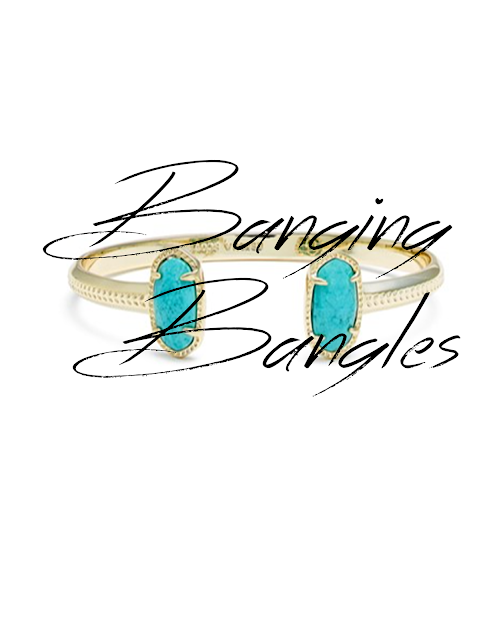 So I am listing some of my favorite bangles that I hope to one day add to my collection. This first one that I would love to be able to own one day is a Cartier gold bangle bracelet. I just think these are so stylish and can be worn with any outfit. Okay I won't lie, Kourtney Kardashian was a total inspiration for it... yes Kourtney not Kylie... but I just think they look so cute and can really bring an outfit together. Let's just ignore the price though because unless I become a millionaire there is a good chance I will never be able to afford one of these bad boys. That's okay though, a girl can dream. The next bracelet is one that I actually already own a couple of. These Kendra Scott bracelets can make an outfit pop a little bit more. Even though these bracelets aren't technically bangles, they're cuffs, my wrist is so tiny they close all the way around and look like a bangle. Anyways, these Kendra Scott Erica Bracelets with stones can help an outfit stand out because of the different colored stones. They have so many different options and they match the stone-to-metal colors very nicely. Some of my go-to bracelets in my everyday outfits for sure. Now okay, I know you shouldn't own one of these bracelets until you actually "tie the knot," but I can't help it! I'm obsessed with the simplicity and such special meaning behind them. 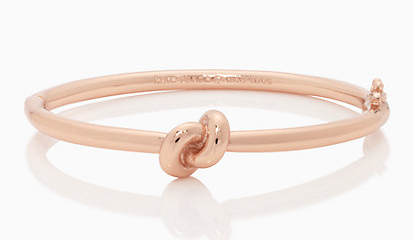 The Kate Spade knot bangles are definitely a gift that I want for when I get married. 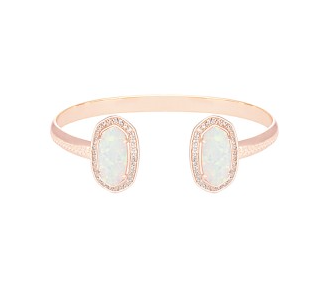 This next bangle is actually something that has been on my Christmas list for about three years now. The Coordinate bangle. I just think all of their jewelry is pretty flawless and can have such a special meaning behind it. For one of Omar's Christmas gifts last year (2014) I got us both matching leather bracelets. 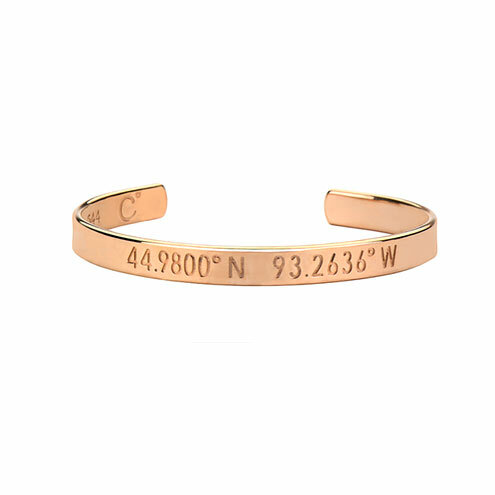 His bracelet has my home coordinates and my bracelet had his base in Japan's coordinates. Of course they both ended up getting completely destroyed (from water, being too big, etc) but I loved the meaning behind them. I think having one that's a bit more permanent would be super cute and a great add to my bracelet collection. Now the question is... what coordinates should I choose? What staple pieces do you want to add to your closet?